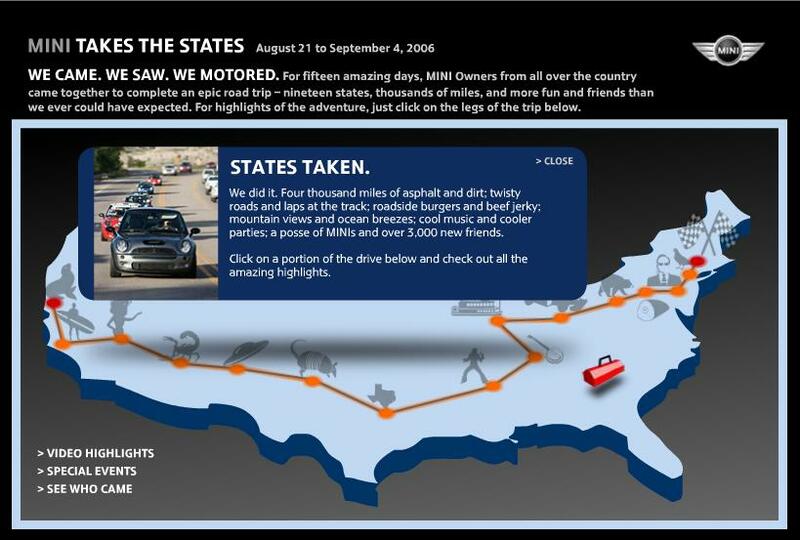 The MINI Takes The States website has now been updated with final write-ups of every day and photo collections … Go there and have a look through the photos, if you were on the trip – maybe you’ll find yourself! 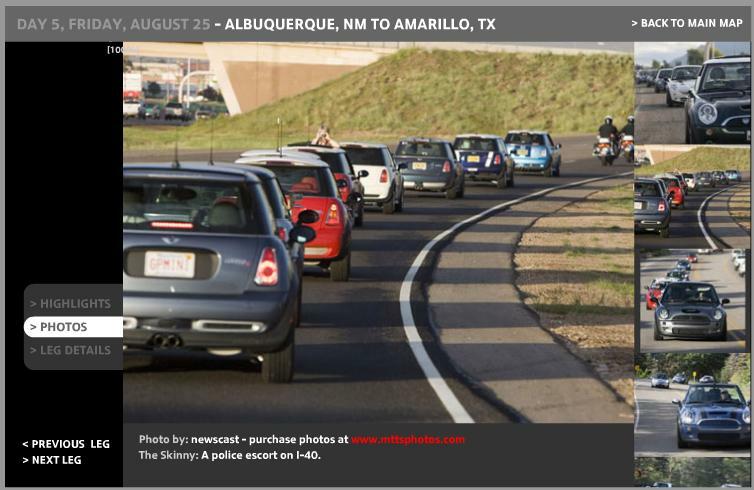 Here is GPMINI in the pack leaving Sandia MINI at Alberquerque, and a great picture from the St Louis arch looking down on MINIs, with GPMINI and Quack Quack Jack in the middle! UPDATE: $285 order placed for photos! Sweet! 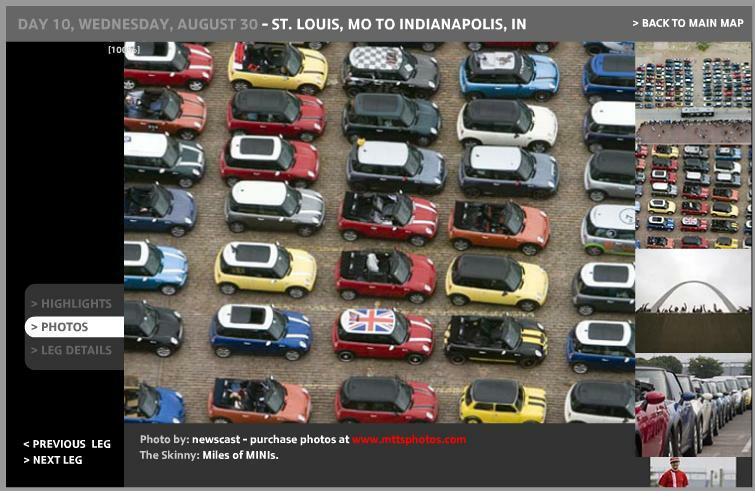 You can see Bean on that St. Louis Photo! BRG/W Between two Convertables. Left Side. They are excellent, and well put together in a short time … hope they’ll release DVD quality in the future, and maybe longer too! Well, now that it’s over, I trust you’ve had time to rest up. Back to the daily grind eh? Nice to have met you along the way.